The 2019 Open is ALMOST Here! We invite and encourage all of our members and CrossFit inspired friends ages 14 and up to participate in the CrossFit Open workouts for 5 weeks on Friday nights beginning February 22. Please do NOT be intimidated, everything CAN be scaled. This is meant to be fun, inclusive, and competitive! Please bring your friends and family as spectators are welcome and encouraged! To register for our Intramural Friday Night Open at PCC, click here. Each registration includes a T-shirt. Not competing or want extra shirts? Click to order extra shirts! To register for The CrossFit Open, click here. Watch for a fun theme to be announced weekly on our Facebook page and come for a chance to win some awesome prizes. Heats will be determined weekly based on announced workouts and participants. ​NEW for this year, we will be forming intramural teams! ​Tune in every Thursday starting on February 21st at 7PM CST on games.crossfit.com to watch the live announcement! 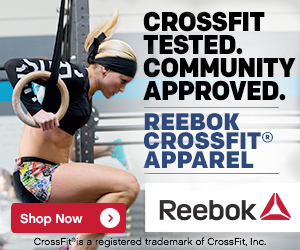 Click on the GET STARTED tab to learn more about our Fundamentals of CrossFit six class intro for new members! We would LOVE to have you! Visit the GET STARTED tab to learn more about the programs that we will periodically be offering for kids and teens! We are very excited to be able to help our youth get fit! Click here to get in touch with us and get your questions answered! We LOVE having visitors from other CrossFit boxes! Join us while you're in town and sign up in advance by clicking on the SCHEDULE tab at the top of the home page. Welcome! Drop-Ins are $20. Contact us for weekly rates if you'll be in town for longer than a day!